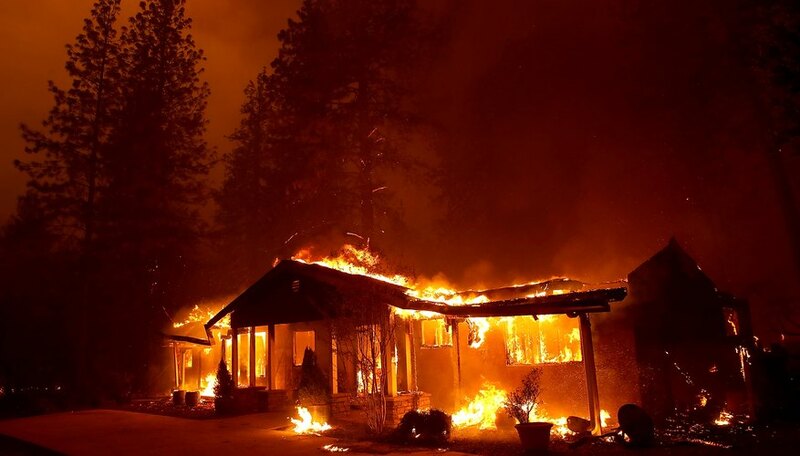 Camp Fire: Located in Northern California, Camp Fire is the deadliest fire in California history, killing 42 people as of Tuesday morning. It's also displaced 52,000 people so far and, as of Monday night, was about 30 percent contained. Woolsey Fire: Located in Southern California near Los Angeles, the fire has burned about 93,000 acres and killed two people. As of Monday night, it was about 30 percent contained. Hill Fire: This smaller fire in Southern California was about 85 percent contained as of Monday night. The fires have forced about 300,000 people to evacuate, which includes nearly 170,000 people driven from their homes in Los Angeles. And the fires spread so quickly that evacuations were dangerous, too – and, tragically, at least seven people were killed in their vehicles trying to escape. 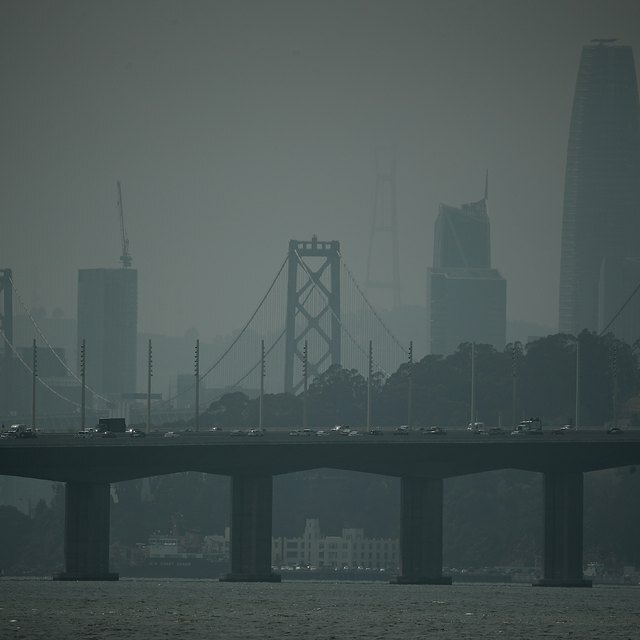 On Monday night, President Donald Trump announced a plan to help to California, tweeting: "I just approved an expedited request for a Major Disaster Declaration for the State of California. Wanted to respond quickly in order to alleviate some of the incredible suffering going on. I am with you all the way. God Bless all of the victims and families affected." Before that, though, Trump, focused on assigning blame to California's forest management. Here's his tweet from Nov. 10. It's just the latest in a trend of misinformation from President Trump regarding California's wildfires – and something we've covered on Sciencing before. Here's the truth about the wildfires, and the best ways that you can help those affected by them. Setting aside the callous nature of the tweet – many have lost their homes, lost loved ones, or are waiting on news about missing persons – it's not accurate. As California Professional Firefighters President Brian Rice explained, wildfires don't just affect forests – they also affect populated areas and fields. And many of the factors that affect how quickly fires spread, like wind speeds and droughts, are entirely outside forest management's control. What's more, about 60 percent of California's forests are found on federally owned land – which means the federal government is responsible for their management. But earlier this year, Trump proposed cutting the U.S. Forest Service's budget by $170 million. And he also proposed slashing the funding for wildlife research, including research into how to fight (and recover from) wildfires. Threatening to cut the budget even more gives forest management workers even less resources to fight fires and keep you safe. Fire and climate experts are pushing back against the president's assertions hard. Here's a tweet from the Pasadena Fire Association. 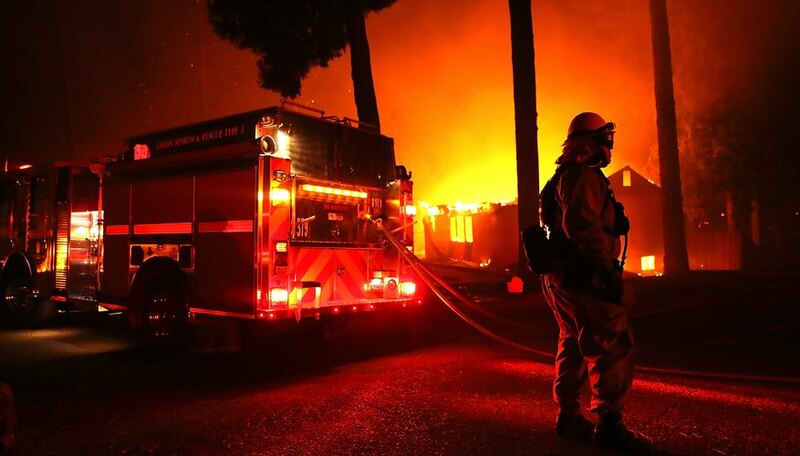 And Dr. Anthony LeRoy Westerling, a climate researcher at the University of California, Merced, tweeted "Warming and more variable precipitation from human-caused climate change are greatly increasing fire risks in California and throughout western North America." Exactly how the fires started is still under investigation. Utility company PG&E noted transmission line outages in the minutes before the Camp Fire started, signaling it may have been sparked by power lines. And we know the Woolsey Fire was spread by hurricane-force winds. Plus unusually dry conditions and low humidity – a side effect of the climate change-linked droughts that California has grappled with for years – that allowed vegetation to burn fast and hot. Taking the time to understand the truth behind the fires – and why forest management workers are not to blame – is great, but that's not all you can do help. Here's what to do. Donate to those affected by the fires. Several charities are soliciting donations to help those displaced by the fire. The New York Times has a great list of potential candidates – check it out here. Fight for climate and fire science. Wildfire science helps develop the best ways to fight fires and better protect people and property. Write to your representatives in government to explain why funding wildfire science is important to you. Push for a real response to climate change. Draughts and extreme weather events can get more severe due to climate change, and that can make wildfires bigger and more difficult to fight, too. When you're writing your representatives, highlight how addressing climate change is a crucial part of any fire management program – and good for the planet overall. Tremblay,, Sylvie. 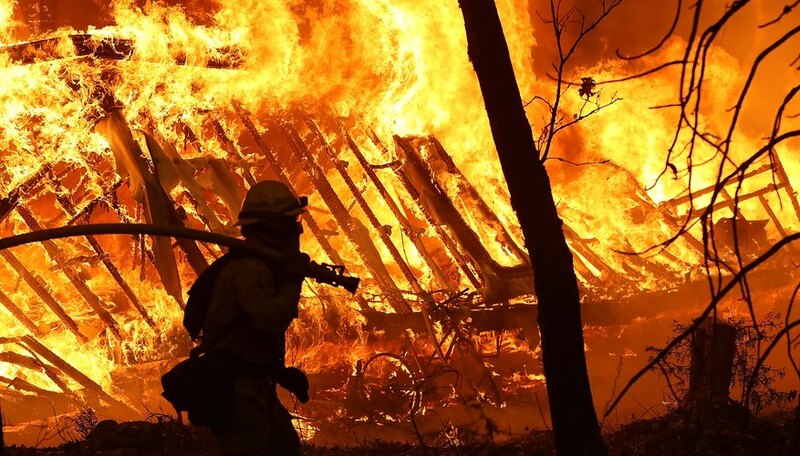 "Trump Blamed Forest Management for California's Deadly Fires – But He's Wrong." Sciencing, https://sciencing.com/trump-blamed-forest-management-for-californias-deadly-fires-but-hes-wrong-13715907.html. 13 November 2018.